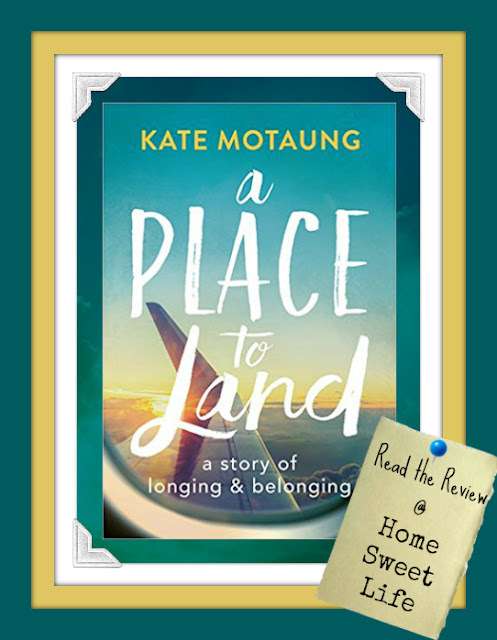 In her new memoir, A Place to Land, Kate Motaung tackles the tough topic of what our home really is, and why we long for one. 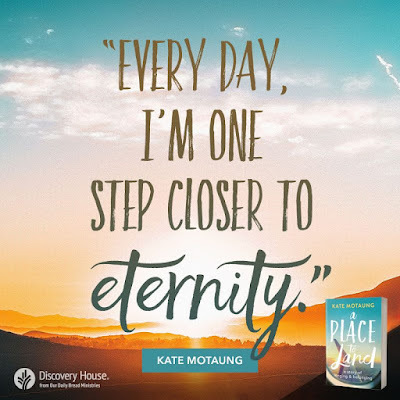 After growing up in North America, then spending 10 years in Africa, Kate continued to wrestle with the great desire to be able to call one place home even while her heart and mind were divided. Does a desire to land in one place preclude us from loving the other? 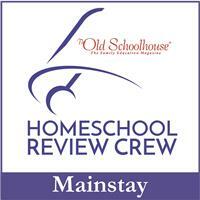 Is our definition of home skewed? Come along on a heart-rending story of life, love, loss and healing as Kate shares her journey to find home. Throughout the story of Kate's life she struggled to find a home that felt safe and secure. Life has a way of hitting us with disappointments that can sometimes overwhelm. As I read Kate's story of growing up, I identified with several of the emotional struggles she encountered because I had either lived through them, or had friends that did during my own adolescence. If home is supposed to evoke feelings of safety and love, why do we so often hear the term "they come from a broken home"? How do we work through the struggles of our past to become adults who trust in a Heavenly Father to provide for us an Eternal Home? 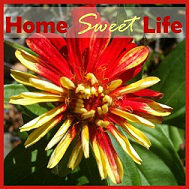 Should we be looking to create a home here on earth, or are we supposed to feel displaced or adrift during this life? These struggles and more faced Kate not only in her teen years, but as a young adult as she was obedient to leave her childhood home and follow God's call on her life to missionary work in Africa. I thoroughly enjoyed reading Kate's memoir. I laughed, and cried. When she shared her joy at being in love I cheered her on. As she shared about her mom's battle with cancer I wept alongside her. This is a book that points us to think about our lives and our circumstances in light of eternity. Each struggle that we face and each battle that is won or lost is a step towards our eternal home. Why is this memoir a must-read? Because in it Kate reminds us that this world is our temporary home. We make the best of the challenges we face, and we trust the end results to God and His unfailing love. I particularly identified with Kate's anguish over her mom's cancer battle. Last year one of my dear friends battled cancer. God granted her the victory of an eternity with Him instead of a longer earthly life. The grieving process is real, and often painful, for those of us left behind. It is though the love shown by others who remain that God reaches out and begins the healing of our broken hearts. As Christians we will never truly be home until we arrive in Heaven, but the joy of friendship and the love of family can make this life an wonderfully fulfilling place to land along the journey! Disclaimer: I received a complimentary copy of the book from Discovery House in exchange for an honest review. I was not required to writ e positive review nor was I compensated in any other way. All opinions are my own. 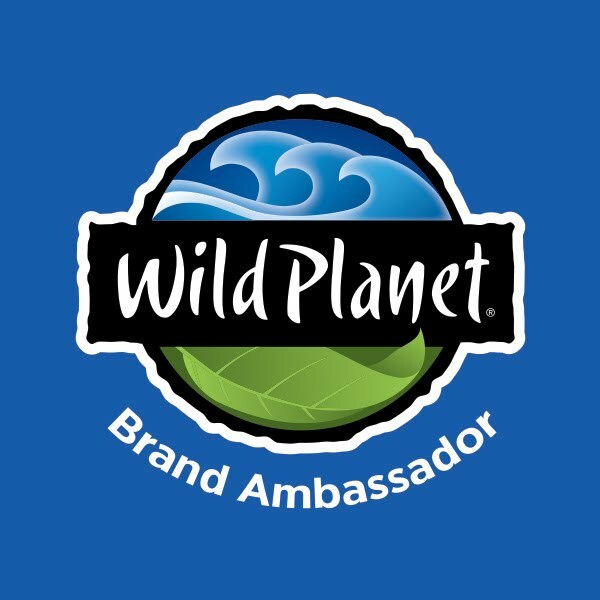 I am disclosing this in accordance with FTC regulations.